Can I do a boost leak test myself? Yes of course. Since the pro-kit offers a mounted boost gauge, it allows you to monitor the pressure that is going into the system. So all you need to do is attach the boost leak tester to your turbo inlet and pressurize the system. No. Basic tools will be needed if you need to get to your turbo inlet. Example, a screw driver to remove a clamp off the turbo. However, it is recommended that you or a friend have an air compressor to pressurize the system. There are a couple of kits available for my car, which one should I get? Basically there are 2 types of kits. The standard boost leak tester and the TIP boost leak tester. 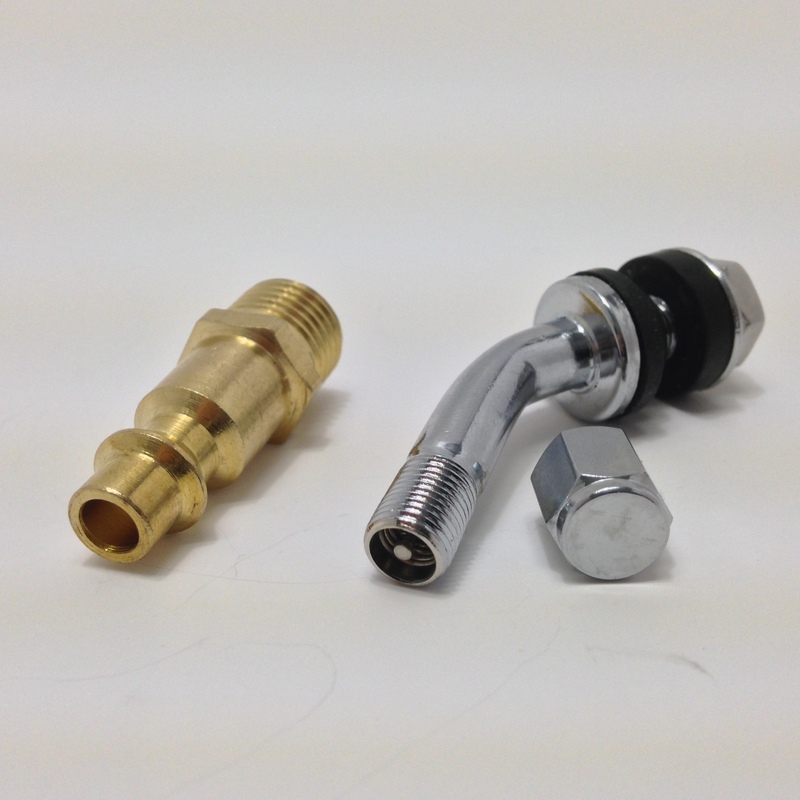 Standard Boost Leak Tester – Attaches to the turbo charger’s inlet flange. This is for most cars that have the turbo easily accessible. For 4 cylinder and inline 5’s and 6’s. TIP-Kit – (Turbo Intake Pipe Kit) attaches to an intake pipe before the turbo. Typically after the MAF housing. This is for cars that have hard-to-reach turbos. Usually on the boxer engines (Subarus), V6’s and V8 twin turbo’d cars. This requires plugging any lines that is attached to the pipe, otherwise you may not be able to build pressure in the system since it may just blow through into the crankcase or atmosphere. Which is better? Tire valve or NPT compressor valve? Tire Valve – you shoot air into it (like inflating a tire), let off, and then watch the gauge to see how your system holds boost. If no air leaks are hissing, watch the gauge for normal boost bleed. you can easily watch bleed rate when letting off. you may need a parter to hold the line on the tire valve stem to keep pressure on, especially if there is a stubborn leak. NPT Compressor Valve – you provide a continuous air supply and listen for leaks. The gauge gives you a reading of how much boost you’re putting into the lines. You are away from the tester in case its not attached properly and blows off. cannot watch the bleed rate as easily since removing the line off the boost leak tester fitting will purge all the air. A way to do it is by turing the compressors line out regulator down to 0. Can I mess anything up? Not really. As long as you remove your oil cap for one. And be conservative with the amount of pressure you put in the system. Start with a low pressure (5 psi) and work your way up in 5 psi increments up to your max boost levels. The rule of thumb is to not exceed what your max boost would be while driving. Youll catch the big ones first, dont stop, fix the leak and retest, there may be another leak lingering at higher pressure. What does a boost leak sound like? A boost leak sounds just like what you would expect an air leak to sound like. You can hear it and it is pretty obvious. Why can I not build any pressure when doing the boost leak test? If you cannot build any pressure make sure all the lines are connected. If they are, increase the test pressure. If you still are not able to build boost, you either have a very large leak which should be audible or your air pressure is being lost through a different route. Typically, when performing a boost leak test at an intake pipe before the turbo, you must plug the lines on the intake pipe between the boost leak tester and the turbo. These lines are usually crankcase lines and do not see boost and direct the air pressure into the crankcase, therefore not allowing you to build pressure. Be cautious. Where safety goggles. If the boost leak tester is not secured, it could become a projectile under pressure. Remove your oil cap. This relieves crankcase pressure. When the system is pressurized, some of the compressed air travels passed the throttle body, into the intake manifold, and into the combustion chamber. From here, it then travels down passed the piston rings into the crankcase and travels up passed the valve guides into the area under the valve cover. Removing the oil cap relieves this pressure off the oil seals, ie. crank oil seal, camshaft and rear main oil seals, etc. If you are unsure about something feel free to ask and this Q&A will be updated!